An entire town with two farms for sale by auction. The entire town of Swinburne, one of the most popular pit-stop in South Africa, for people travelling on road between Durban and Johannesburg, is now for sale. This romantic and tranquil village situated just off the N3 South of Harrismith in the Free State is surrounded by bright yellow forests, green pastures; sitting on a rich mountainous countryside, is now waiting for its new owner. A part of this majestic little town lies Rensburgkop Mountain, which a favourite with mountaineer bikers and hikers. This Auction Sale provides a very inviting investment opportunity. The entire village plus to adjacent farms are advertised for sale, and In2assets the national property company is conducting the auction. The extent of the village is ± 63 Ha, with access off & adjacent to the N3 and adjacent to the Swinburne railway siding, which connects Durban and Bloemfontein and Cape Town. 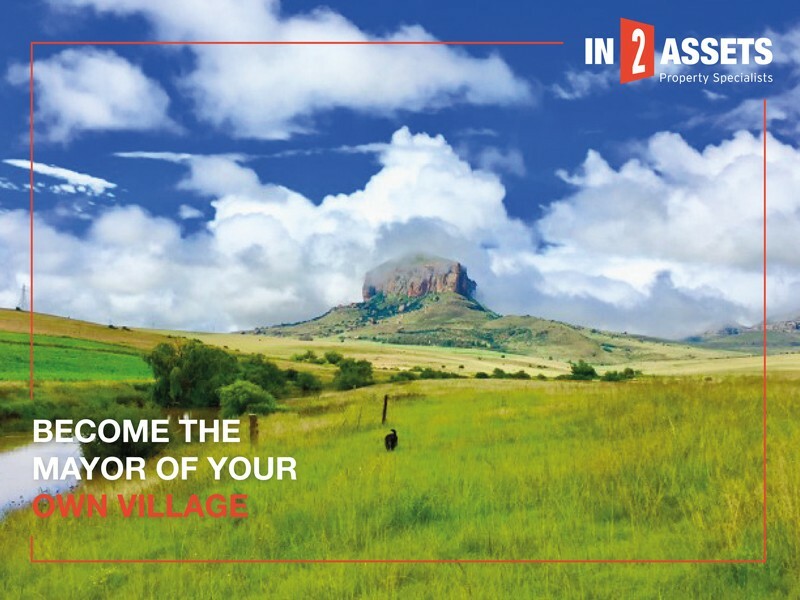 “The property consists of 40 residential plots with 12 houses, a fully functional hotel, a retail component with 3 shops, workshop and 8 agricultural plots and offer a real investment opportunity.” Says Rainer Stenzhorn Marketing Director of In2assets. Within the serene village are two farms that offer natural grazing with the potential for deep arable land cultivation. This type of property offers endless opportunities for a unique tourism investment, and we expect an “out of the ordinary” response from the market, for such a unique property parcel.